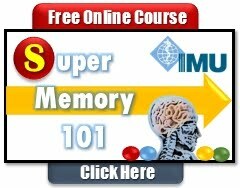 TV Lesson presents one of the world's largest, most all-encompassing libraries of how-to content online. Lesson content covers every conceivable topic and delivers the definitive online "encyclopedia of lessons" (Source). 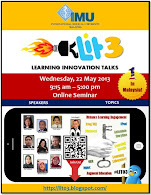 They also invite anyone to join and share their own wisdom and know-how by uploading videos. You can also win prizes of you are really popular! SuTree (Sutra + Tree) is a knowledge community and an aggregator of instructional & educational videos. 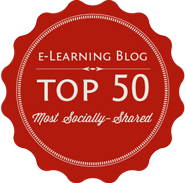 "It is a social bookmarking site that aims to be the "Digg" of e-learning. The site lets users bookmark and organize free video tutorials, video lessons, video how to and DIY from all over the web (Source)." 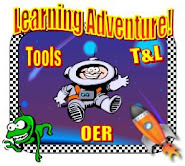 I discovered these two interesting educational video repositories snooping around Jan Knight's 'Toolicious' blog. New video community or repository sites seem to be launched every day these days (hmm, perhaps not that extreme, but close! ), so I suppose it is becoming a very competitive market to gain people's time (which leads to more advertising revenue!). I suppose, when you have so many of these free video or content sites already out there, you certainly need to find your own 'Blue Ocean' Strategy, or you can quickly become extinct (like the dinosaurs)! Whether these two video community repositories are "Juicylicious" (or a disaster), or not? I suppose you got find that out for yourself (More fun that way!). Interestingly, TV Lesson's currently most viewed video (GMAT - Math) has only been viewed 5575 times (Added on March 22nd, 2007). So, it has a long way to reach YouTube kind of viewing numbers. For example, Evolution of Dance video (No. 1) has more than 65 million views now! I did come across an interesting short Michael Jordan video (49 seconds only) in TV Lesson, which taught me some secrets about becoming a great jumper, leaper or dunker. GOD given ability and a lot of practice! 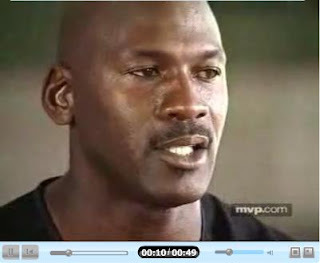 In a nut shell, Michael Jordan (When he speaks about jumping you listen! Air Jordan!) says you need to jump (a lot!) and keep on trying to dunk (also, riding a bicycle helps!). It reminds me of how we often complicate education, when it is really quite simple. It lies in the word of what you want to teach/facilitate/coach/etc. Just add the word "Practice' to it (e.g. Writing = Practice Writing), or simply change the tense (Writing = Write, Write, Write, etc.). Not sure if I agree with that one! I agree with that! As for SuTree, I like the social-bookmarking and community dynamics of it. SuTree's growing community has managed to discover, organize and tag more than 10.800 educational videos, up until now. So, I am sure you will find some juice there, too (Wisdom of the Crowds!). According to the site's owners the goal is reaching around 20,000 lessons in the first year (Source). Finally, SuTree or TV Lesson? Which one do I (or you) prefer? No idea! But based on slogan, SuTree wins hands down (My humble opinion!). SuTree - Knowledge Community: Watch. Learn. Share. Hi, I have dropped in only to say thank you for the wonderful resources you have provided! I am an instruction designer from India and I have been subscribing to your blog for quite a while now. And then today I realized I never acknowledged that I had been benefiting from your blog. Ya, Zaid, I am sure you remember them after you blog about them. Best thing I like is you create your own clip art, graphic with posts. That is very creative, how do you do that? I would like to interview you sometime for my blog: http://beingablogger.com/. IT is blog about bloggers. Perhaps, I can find some time next week (Just send me the questions, or how do you do these interviews? ).